1. 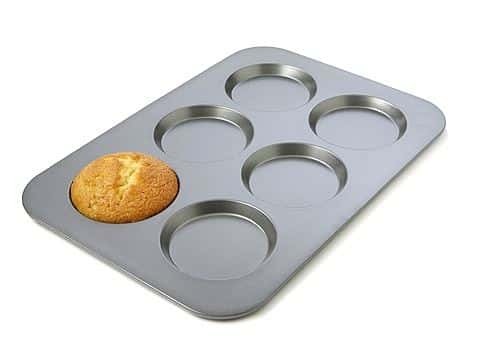 Muffin Top Muffin Pan - "Chicago Metallic™ The Original Muffin Top Pan™" This, ladies and gentleman, is made for those who only like the muffin top of a muffin. 2. 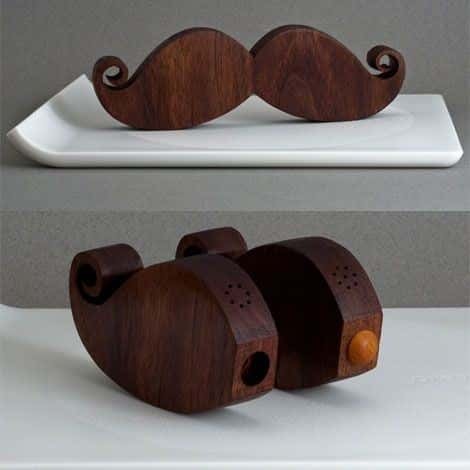 Mustache Salt and Pepper Shaker Sport a classy 'stache throughout the entire year by placing these on your dining room table! One half of it is for your salt while the other for your pepper. When put together, they make an ultra cute mustache. Beautifully crafted out of walnut and finished with mineral oil. 3. Mr. Tea This unique teapot is the complete package. 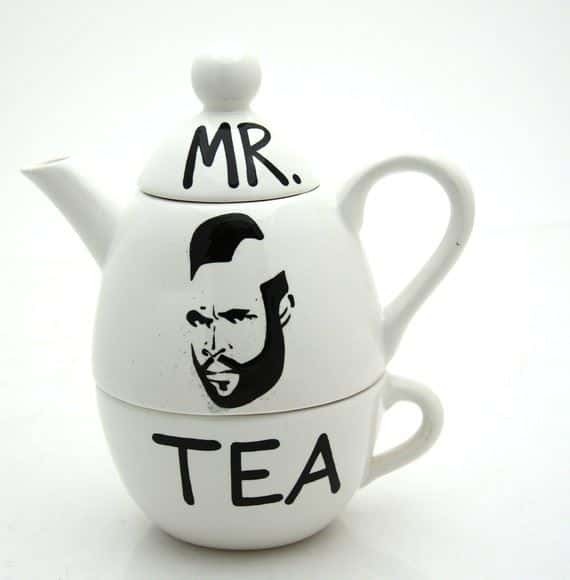 Apart from enjoying the sight of Mr. T’s epic mohawk, the teapot’s design allows you to stack the pot on top of the mug for easy storage. 4. Individual Cupcake Holder After all that hard work baking the perfectly moist and adorably frosted cupcake, you don't want to ruin them by squishing them into a box to transport them. 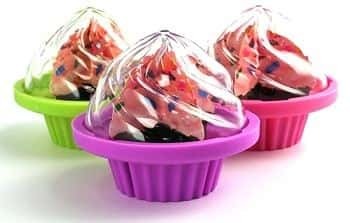 Instead, these individual cupcake holders protect them and make for adorable presentation! 5. See-Through Toaster Clear toaster allows you to see when it's done- kind of amazing WHY HAS NO ONE THOUGHT OF THIS BEFORE. 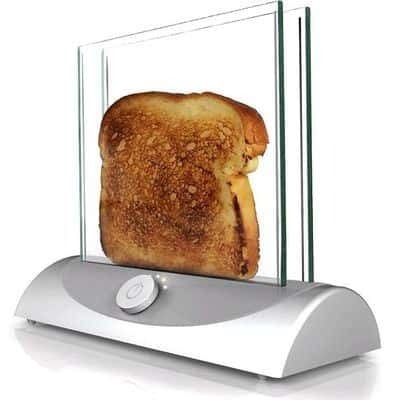 Now you can see when your toast is the perfect amount of "toasted"! No longer must you tweak your heat and timer settings, now you can just turn on the toaster and literally watch it heat up to a perfect golden brown toast.